Spanish TV chef Omar Allibhoy – described as the “Antonio Banderas of cooking” by none other than Gordon Ramsay – is opening his biggest restaurant Tapas Revolution restaurant yet in Newcastle’s Eldon Square. Omar has cooked for a whole host of celebrity and royal diners in the past, including Prince William, The Duke of Cambridge, Tom Hanks, Bill Nighy and Penelope Cruz, and he’s also written two acclaimed cookbooks: ‘Spanish Made Simple’ and ‘Tapas Revolution.’ He’s also been seen on TV programmes such as Saturday Kitchen, Masterchef, The One Show, Sunday Brunch and This Morning to promote the Spanish food revolution. Tapas Revolution opens this month in the shopping centre, with the aim to bring authentic Spanish tapas to the region. 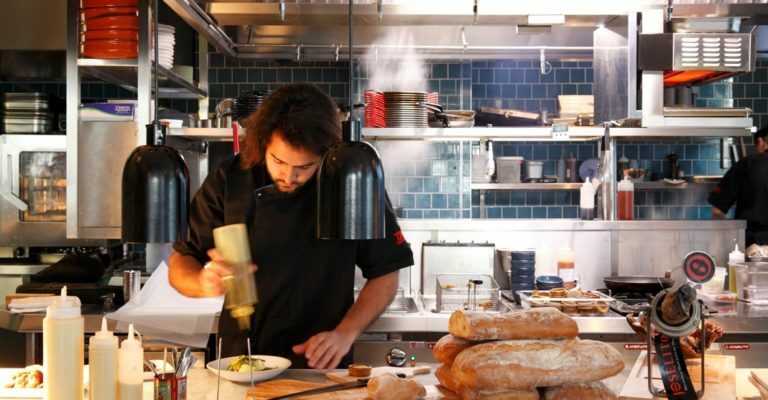 Omar is offering dishes cooked with the best ingredients sourced from artisan producers in Spain, and inspired by the family recipes that he grew up with. Menu items will include Jamon Iberico, calamares, chorizo cooked in Asturian cider and churros, with large tapas dishes to share also available. They’re all served alongside premium gin and tonics and an extensive Spanish-influenced list of cocktails created in collaboration with the award winning Cocktail Trading Co. Why not try a Blood Orange & Cherry Royal, or an Espresso Blanco Martini? Tapas Revolution opens in Eldon Square on Monday 13th February 2017. For more information, visit the Tapas Revolution website.